Hey guys, in this tough time for the people in Kerala, I hope we as a community can help them by handing over a small amount. Let's be a community full of humanity rather than JUST Viewers. 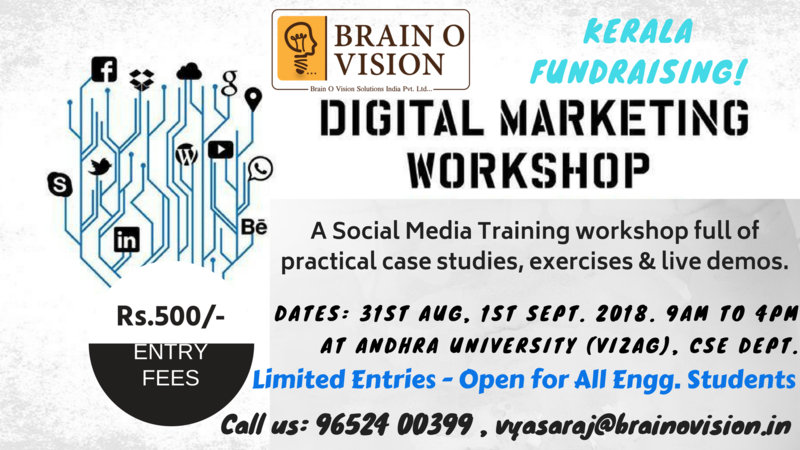 Brainovision is conducting 2-day workshop in collaboration with Andhra University, Vizag on 31st and 1st Sept. 2018. The Total Amount which we receive from these fundraising workshop, we will be donating the total amount to KERALA CM ACCOUNT or buying them required things and sending it. Please do make sure to pass this message to interested ones.